With more than 30 exhilarating and adventurous zip lines you’ll be sure to find something to satisfy your adrenaline needs. Book now to be one of the first visitors at the largest zip line course in the western United States. 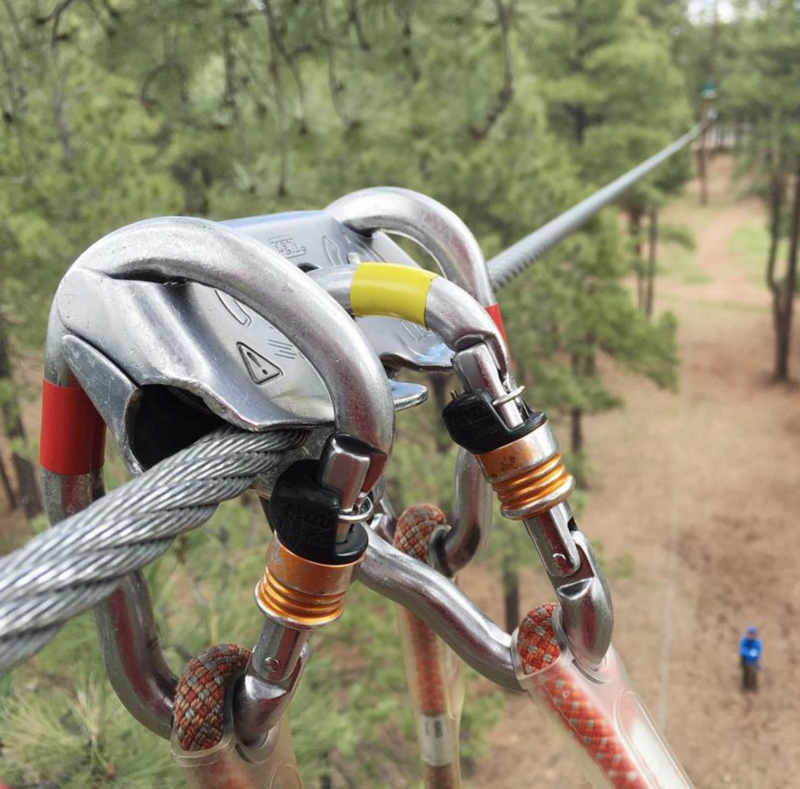 Our Adventure Zip Lines are suspended 15 to 80 feet high in the tall Ponderosa Pines, and is not for the faint of heart. This course includes ladders and bridges and is an active, not ‘easy’, zip line experience. The course is self-guided, and each guest will receive training to prepare themselves for a day of adventure. In addition to the course guests should be prepared for 5-minute walk to the beginning of the course and walking between the courses. Get your zip on! Bring your friends, family, or coworkers for an exciting expedition in the trees traversing over 40 elements! *Participants ages 12-15 must be accompanied by an Adult (18+) 1 Adult can accompany up to 3 junior participants.